In celebration of Calgary 2012, as Canada’s Cultural Capital, The Art Gallery of Calgary joins MOCA Calgary and Paul Kuhn Gallery to host a four-part series of exhibitions which survey the extraordinary richness of contemporary Alberta art. The project Made in Alberta gathers together over 60 of the most prominent visual artists at work in Alberta. The list of artists was selected by Jeffrey Spalding, Artistic Director of MOCA, Kayleigh Hall, Chief Curator of The Art Gallery of Calgary, and Paul Kuhn, Director of Paul Kuhn Gallery. Owing to the scale of the works selected and the large number of artists included, the project will be shown in four parts: parts one and three at MOCA Calgary, part two at Paul Kuhn Gallery, and part four at The Art Gallery of Calgary. The Art Gallery of Calgary will host prominent artists working in a variety of media: video, photography, sculpture, painting, drawing, collage and installation. 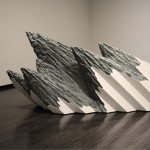 The emphasis of Made in Alberta: Part IV will be on experimental forms of contemporary art in Alberta, made by both emerging talent and established artists who have been prolific in their contribution to Alberta’s art history. The list of artists selected for presentation in Made in Alberta: Part IV includes: Walter May, Blair Brennan, Mark Dicey, Robyn Moody, Ashleigh Bartlett, Wil Murray and Brendan McGillicuddy among others (to be announced).